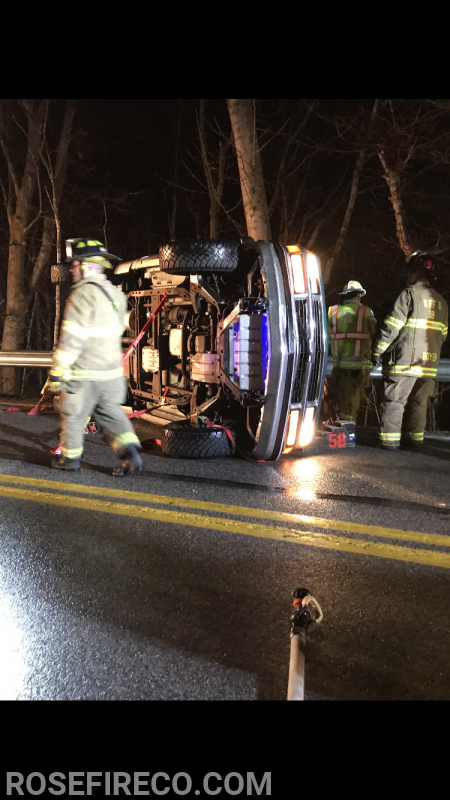 At 9:31 pm station 58 was alerted for a MVA with rollover. 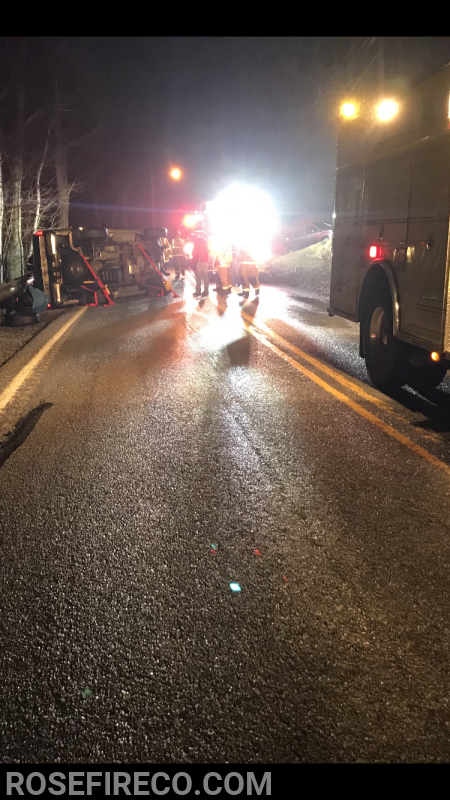 Chief 58 was first to arrive and confirmed one vehicle on its side with one confined. 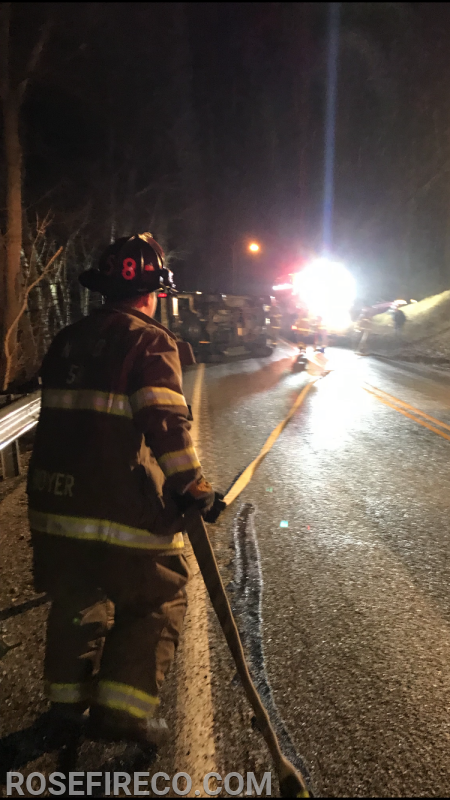 Engine 58-1 arrived and started stabilizing and stretched a hand line for any possible fire hazards , Rescue 61 and Engine 61-2 arrived and finished up stabilization and assisted with getting the driver out of the vehicle. No injuries were reported. Command 61 place engine 58 back in service while the rescue and engine from 61 remained on location. Great job both stations for your fast response and quick work.